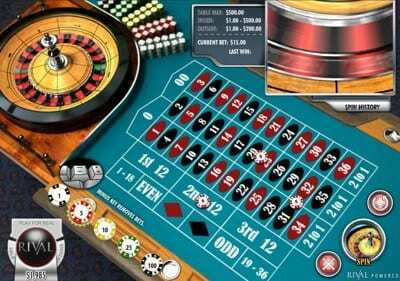 Rival has been about since 2006 and in that time they have made huge strides towards becoming one of the biggest operators in the casino industry. The company came from very humble beginnings and through hard graft worked their way up the ladder and are now associated with some of the highest profile casinos in the industry. One of the areas that Rival pride themselves on is working directly with the casinos that use their software. This means that the casino can essentially tell them what their players want and Rival are then able to go off and build it for them. 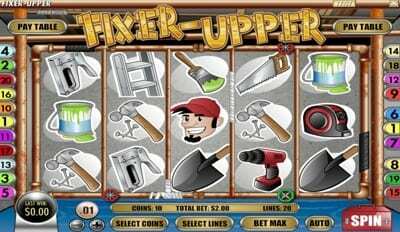 This has been a great strategy for the company to keep relations warm, but it also gives them direct insight into exactly what players are looking for from specific casino games. As it stands, the software currently on offer comes in both instant play and downloadable formats, which allows casinos to quickly integrate their games and then add them alongside existing software providers. Rival is currently offering up 250+ casino games, written in 11 different languages, across 52 casino clients. These are all very impressive numbers, but what’s probably most impressive is how diverse their range of games has become. We will go through each game type next, but we really do feel that Rival is a company that a casino could use as a standalone product, such is the quality of the games on offer. This is something that Rival should be very proud of as there are very few developers able to say that. 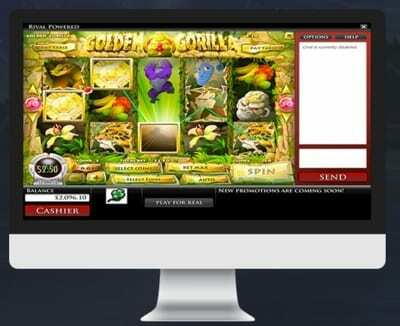 We will point out that Rival have been working very hard on developing new mobile casino games and also adapting current titles to work on mobile via HTML5. As it stands there are 37 games that you can play on mobile, which is just over 15% of the total catalogue, so a long way to go to really get up to speed. The slots section is the most comprehensive for Rival with a massive chunk of their game catalogue being made up here. What you get is a nice mix of both 3-reel and 5-reel titles, but we will say that whilst the 3-reel games are generally all fine, the real action occurs in the 5-reel games and this is where the majority of players will likely be spending their time. Rival aren’t a company that have many branded slots on offer, but that just means that they have clearly worked super hard on their own games to get to where they are now. The games, on the whole, are excellent, and from the ones that we tested we found that they could easily stand up next to the majority of other developers in the industry. We really liked the fact that they were keen to keep adding new titles and some of the fresher games were clearly taken to the next level in terms of both design and user-involvement. 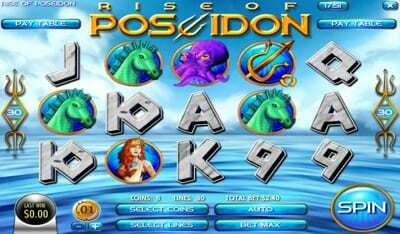 Some standout titles for us included Rise of Poseidon, Windy Farm, Diamond Dragon and Wishing Cup. 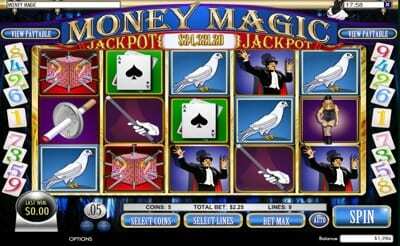 The most interesting aspect of the slots section, however, was the inclusion of I-Slots. These I-Slots work a little differently to your usual games and they are more story based so you follow a narrative as you play the game. Instead of playing each spin as what is essentially a new game, the I-Slots will require you to unlock certain parts of the game by spinning certain combinations and also allow you to win larger prizes the longer that you’ve been playing. It’s a concept that we haven’t actually seen before and one that got us very excited indeed. The range of table on games on offer is fair, with 10 titles in total to play. The games included are American Roulette, European Roulette, Craps, Baccarat, Blackjack, Multi-hand Blackjack, Ride Em Poker, Pai Gow, Red Dog and Casino Battle. The games all function perfectly fine and whilst they don’t include a wow factor, they are more than capable of holding their own against any of their competitors. We were actually pleasantly surprised to see a range of progressive jackpot games that run across the network. They all feel more old fashioned than some of the comany’s other titles in the slots category, but they are all perfectly playable. Jackpot games are hugely popular and there aren’t all that many of them at Rival (only 5), but to have them at all is definitely beneficial for the company, so kudos there. After Rival had burst onto the scene in 2005, it’s probably fair to say that the company’s fortunes have been up and down, especially during the early years. The three entrepreneurs at the helm who started the company all left steady jobs within the industry to chase their dream and essentially become their own bosses, doing things their own way. Now, the company owns over 250 games and works with 52 operators worldwide, which we think means they can now refer to themselves as a success. Rival has clearly taken inspiration from several different companies within the industry, but they have amalgamated the best parts of all of them, and then allowed this knowledge to flow through the company, giving life to this energetic casino software developer.